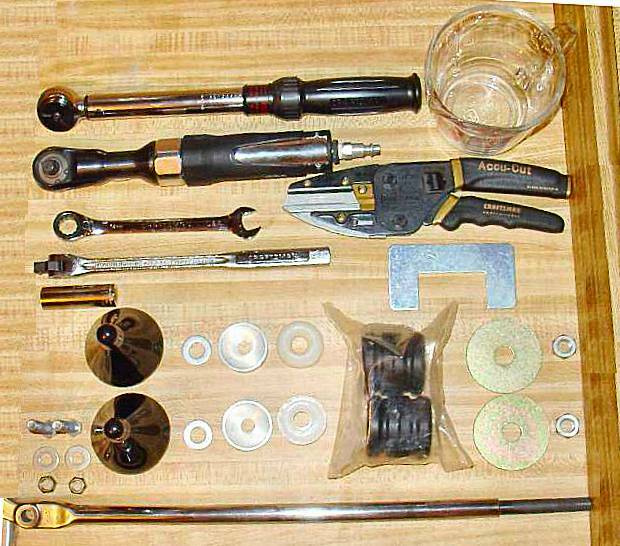 This instruction shows the steps to install G-Machine compression rod sockets on a 1977 280z. The kit is part 88-700 from Victoria British and fits '70 to '78 models. Price was $35 for two. Since the kit does not include a rubber bushing, order two from VB. Part is 62-355 and price is $3 each. You can also get the kit from Motorsport Auto for $30. When swapping from polyurethane to the new ball and socket fittings, I quickly noticed how easy it was to move the new assemble up and down. Wow!!!! It was night and day. 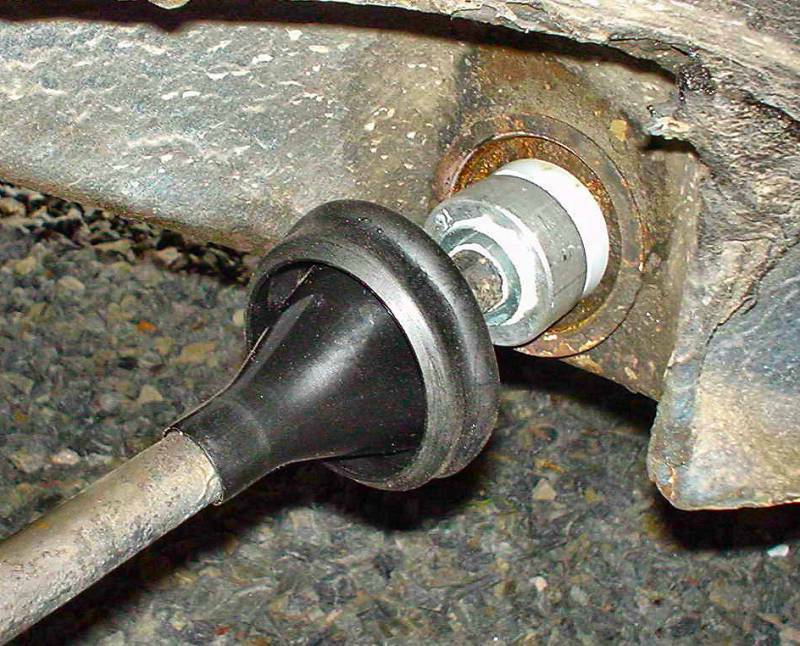 I just learned that my poly compression rod bushings were screwing up my steering over bumps.... especially when cornering. I had assumed the car was "snaky" when turning on bumpy corners because of the suspension modifications I have done. I figured it was just one of the quirks of a performance car... boy was I dumb!. My car had always cut up the road so much better than my friends with stock Z's however, I always dreaded cornering over bumps due to the bump steer. It always took a lot of attention and control to keep the car going where I wanted. 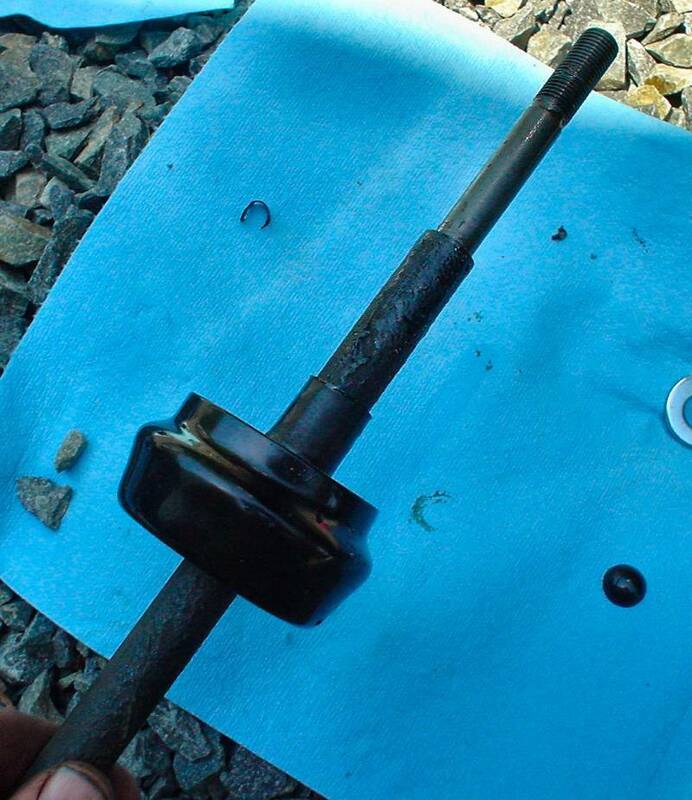 I now know that my problem was due to the compression rod bushings causing to much upward pressure on the control arm. 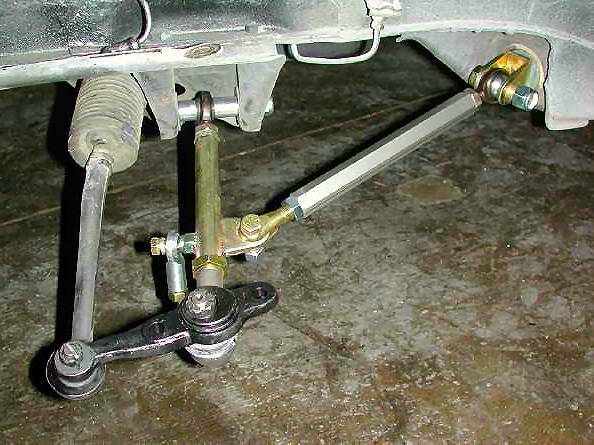 In fact, when I accidentally removed the two front 14mm bolts that hold the rod to the control arm, the compression rod sprung up in the air and took a considerable force to put back in place. I guess this upward force caused by the poly bushings messed up with the control arm's up and down action. 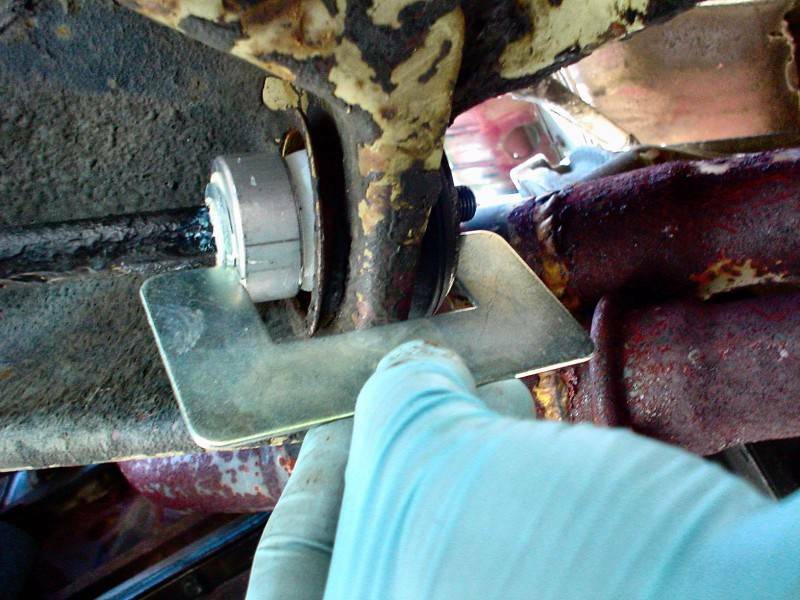 If you have poly compression rod bushings, I would not recommend tightening them to the manufacturer's specifications to avoid this problem! Jack front of car, block and remove one wheel. 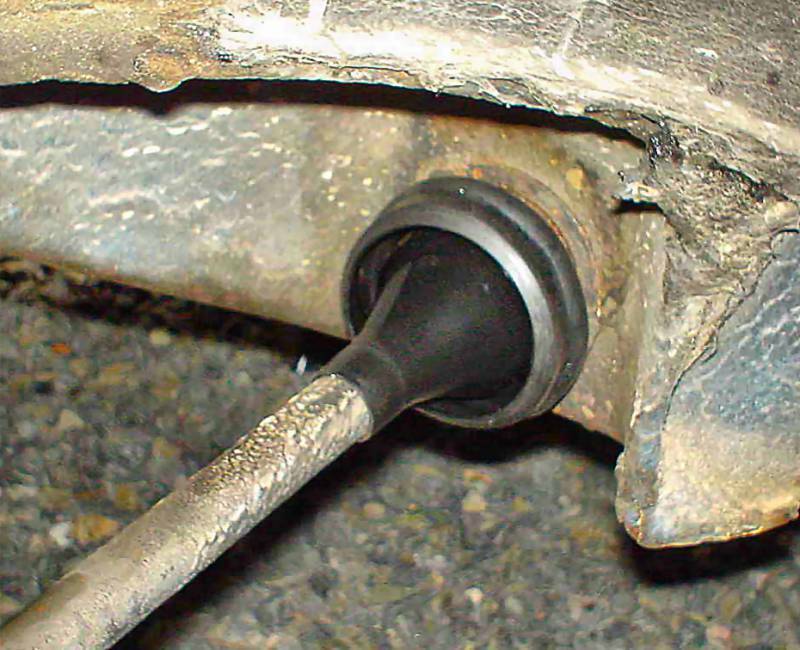 Disconnect the 17mm nut holding the rear compression rod to the frame. Do this end first. 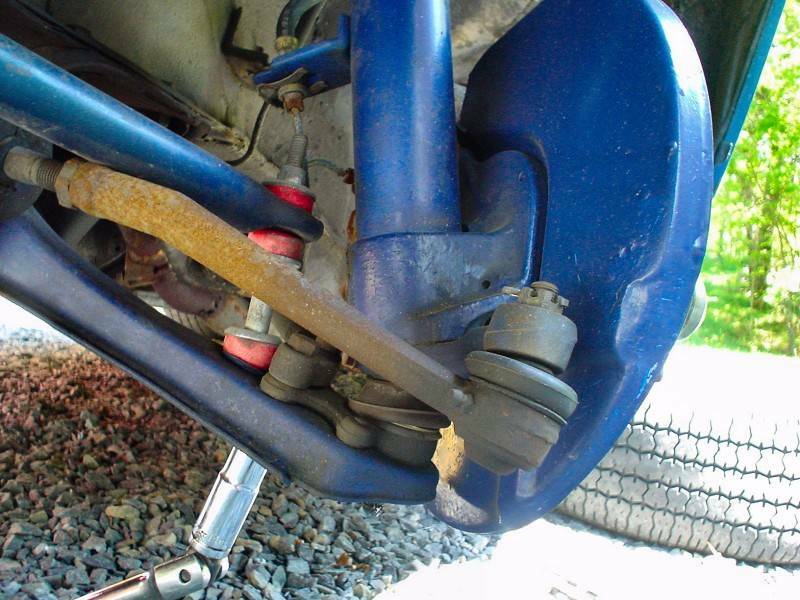 Disconnect the two 14mm bolts and nuts holding the front of the compression rod to the control arm. 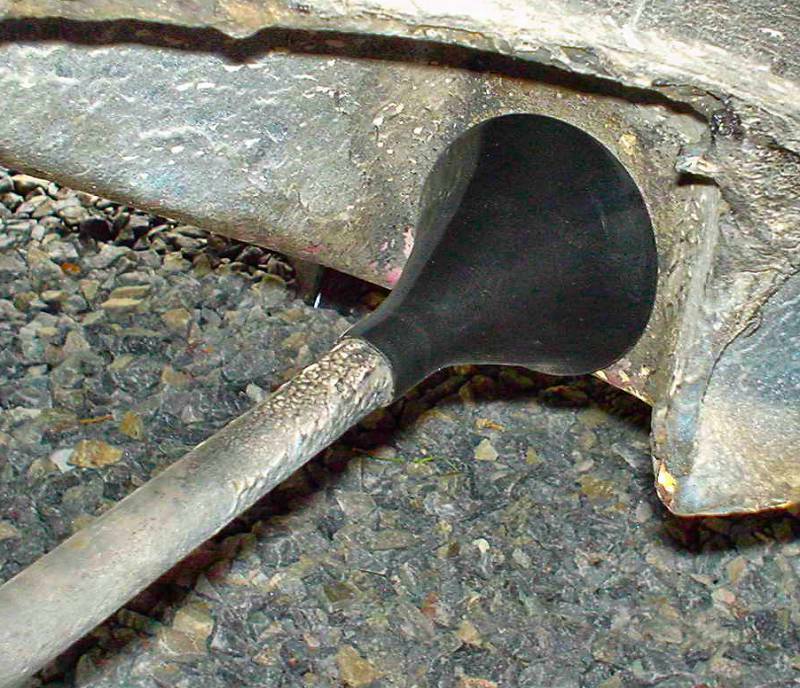 Cut the tip off the rubber boot. 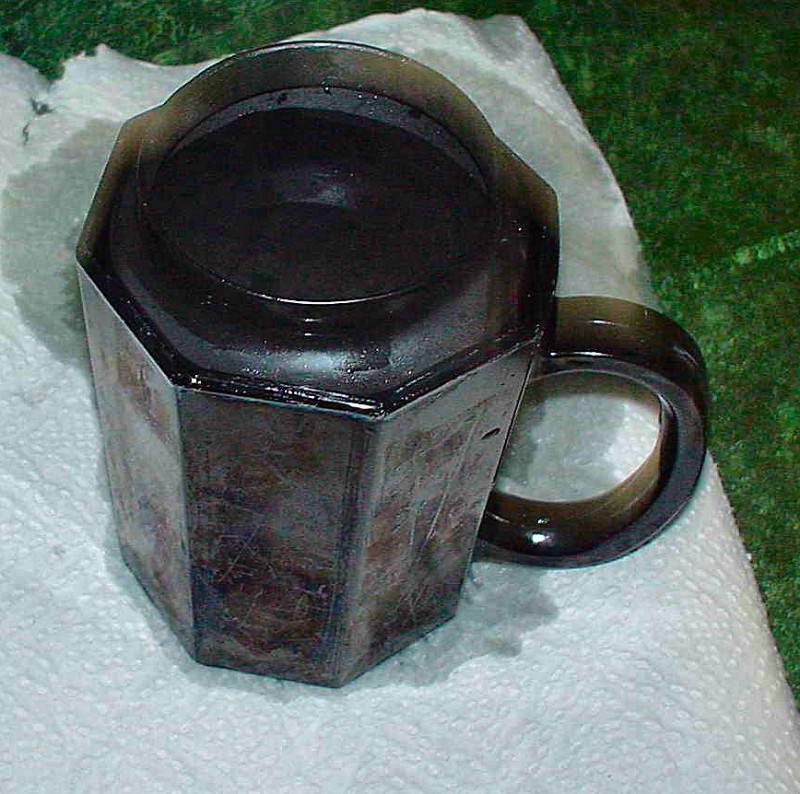 Soak the rubber boot in hot water to soften. 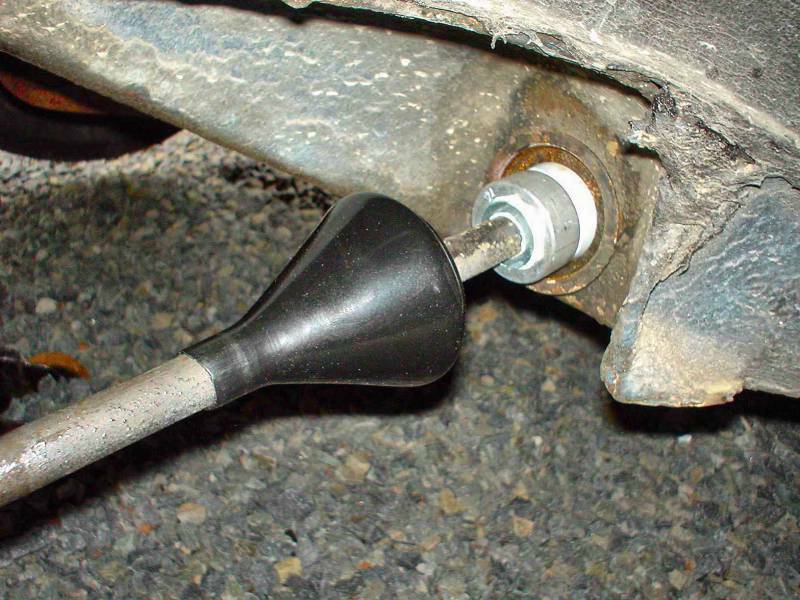 Slide the boot over the end of the rod then double back (as it will turn inside-out when pulling). Here is the boot in proper position. Slide on washer that came with the kit. Discard the original washer and larger end washer. Slide on the machined aluminum socket and Teflon ball. Note that the ball fits in the socket. I used lithium grease to improve motion as it does not weaken plastics. The flat end of the ball fits in the frame. It even has a central protrusion to go through the hole. 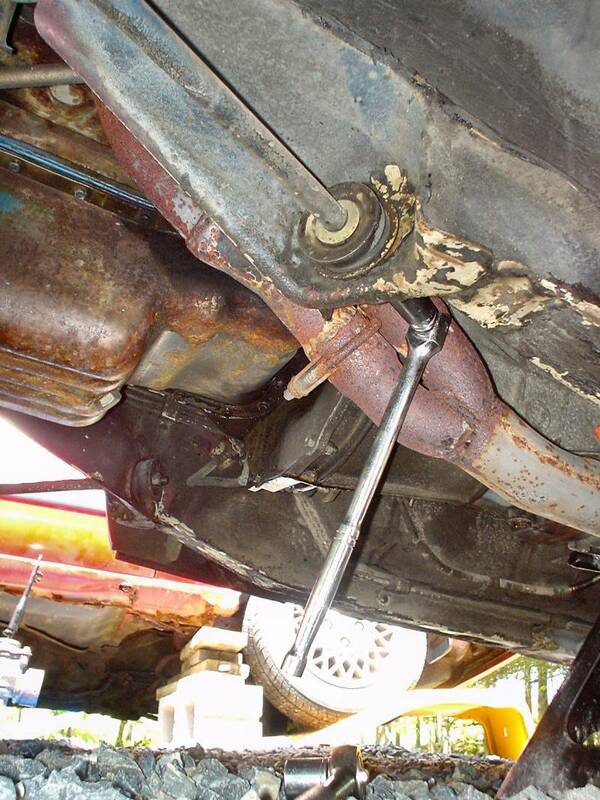 Compression rod is in place. 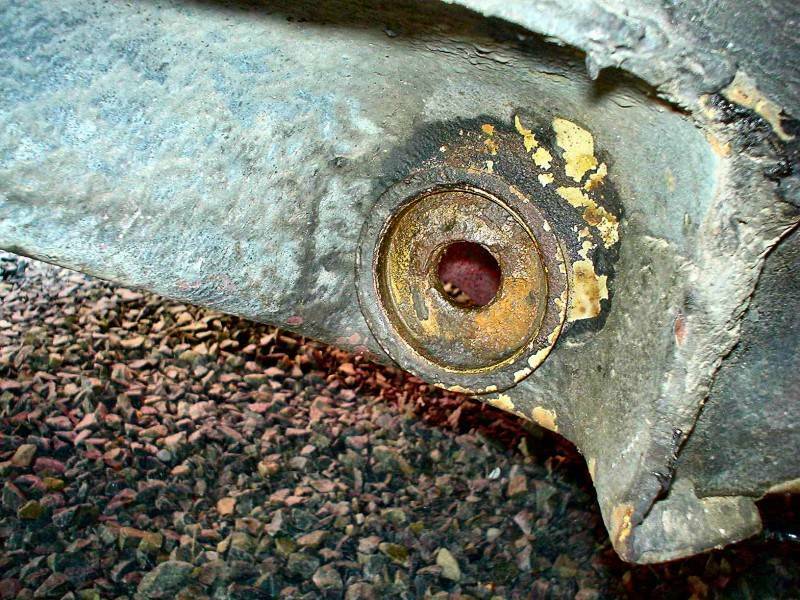 Please ensure the front of the rod is positioned over the holes but no bolts are inserted. 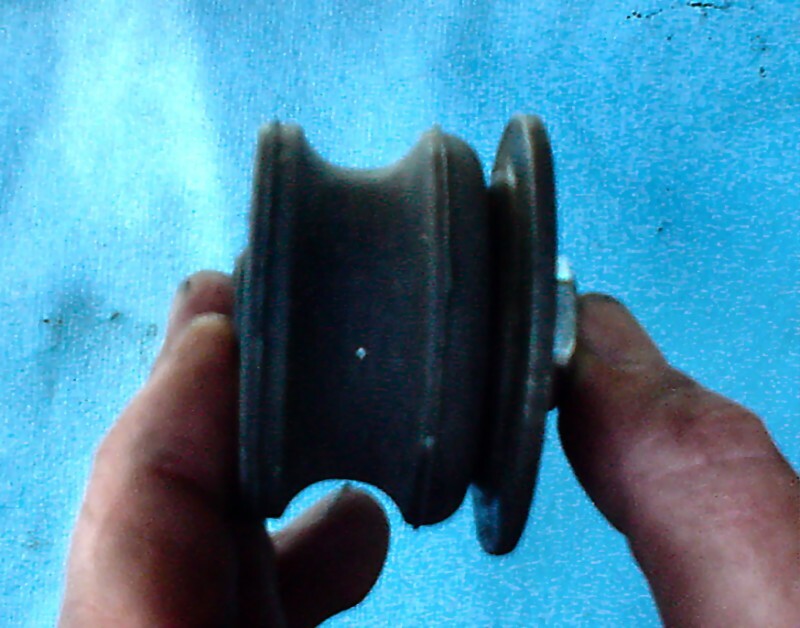 This is a new rubber bushing that replaces the polyurethane bushing. 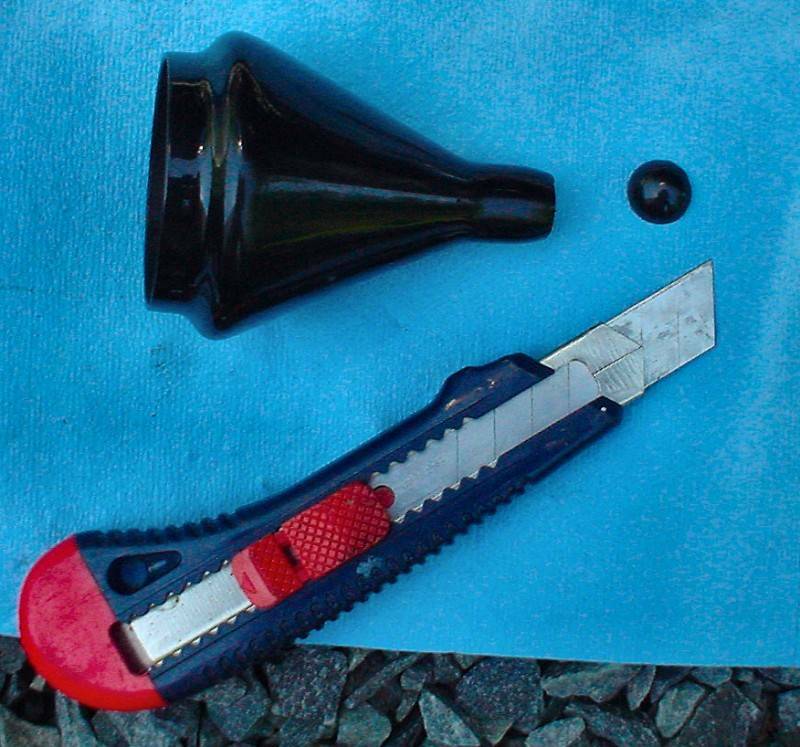 Note the orientation: flat side to frame and curved side against the curved large washer then the new 19mm captive nut. 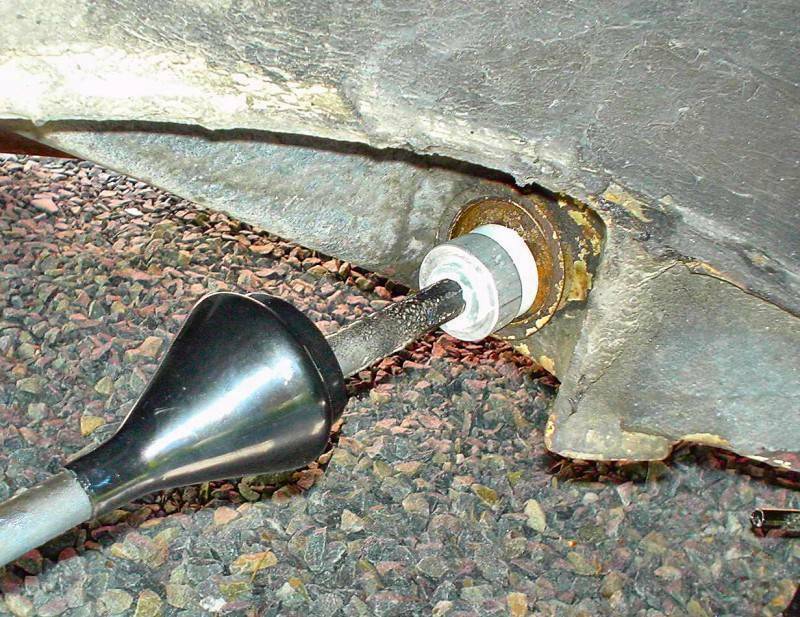 Tighten the end nut to compress the bushing enough so that the installation tool can span the aluminum socket to the end washer. 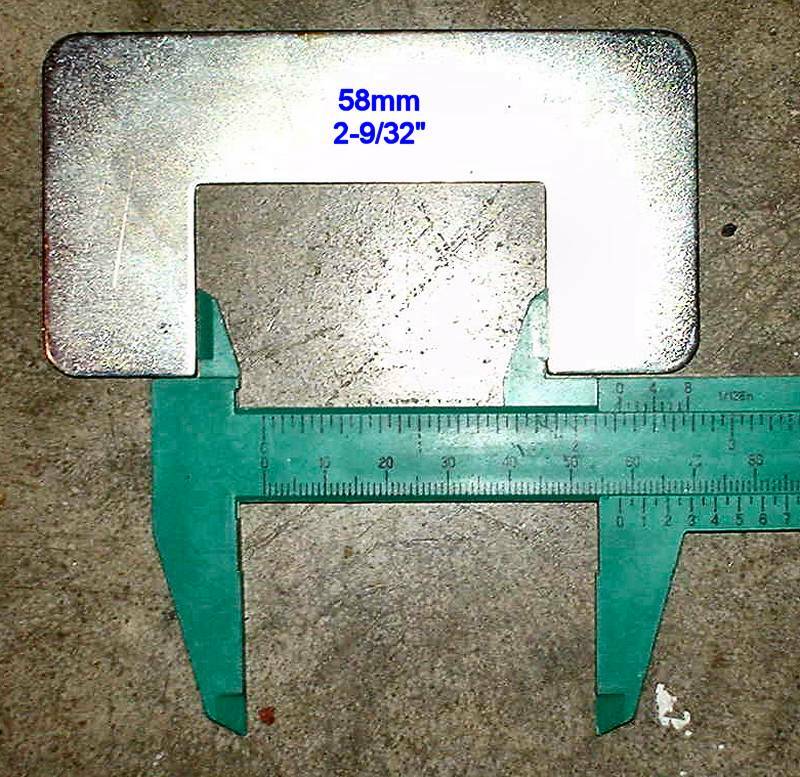 If you lose your spacer, you can use a caliper spaced at 58mm. Slide the boot towards the frame. Fold the boot back on itself. Slide the folded boot against the frame. Use your wife/girlfriend/mom's hair dryer to soften the boot. Note: I did not do this yesterday when I did the driver side boot and it was hot outside ~ 26°C. Today it was ~ 11°C and the boot was not pliable. 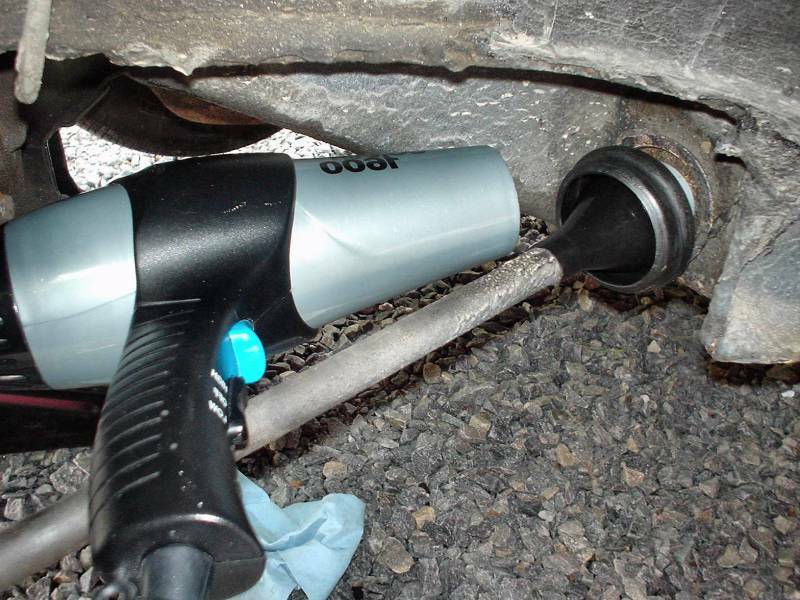 Tighten the 14mm nuts and bolts at the other end of the compression rod.